It is with great sadness we announce the passing of Bruce after a brave fight with Cancer at McKenney Creek Hospice in Maple Ridge on the morning of January 17th with his family by his side. Predeceased by his Parents Beatrice and Alfred and his beloved dog Cooper, he is survived by sons Ryan, Darryl (Brooke) sister Catherine (Morris), brothers Randy, Don (Lorraine), nieces Leanne (Mark), Lori, Eva and Loving Partner Julie. 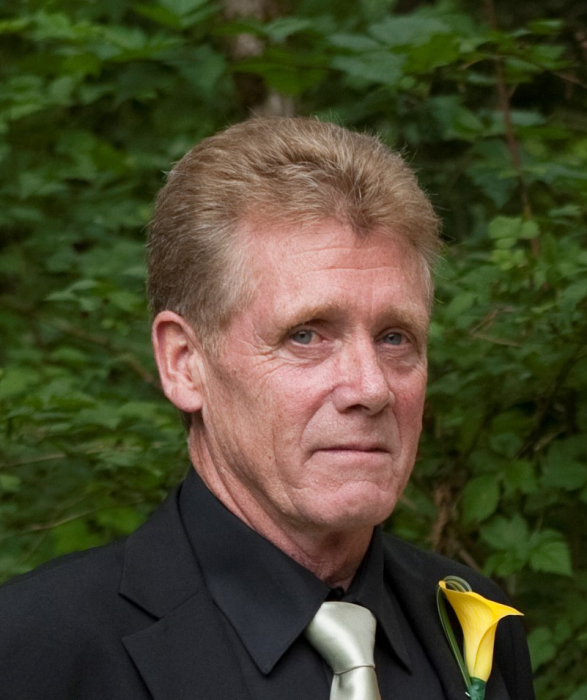 Bruce was born in Vancouver and lived in Maple Ridge for the last 30 years. Working as a carpenter building homes and major construction projects all over the lower mainland where he had a passion for perfection. His quick wit and a laugh would bring a smile to all who knew him. He loved cars, driving his Harley around town, and socializing with everyone he knew. Bruce will be dearly missed. Donations in lieu of flowers can be made to McKenney Creek Hospice Society under Bruce`s name. A celebration of life to be held for family and close friends. Please Email Rememberingbrucescott@gmail.com for information.